Vera, a new colour in the Dekton Natural Collection, is inspired by the elegant appearance of Gris Pulpis marble. Vera is a new colour in the Dekton range of surfaces by Cosentino. Inspired by the elegant appearance of Gris Pulpis marble, Vera exhibits a veined structure and grey cement-like base colour. 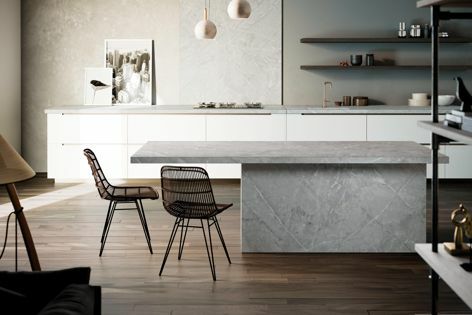 Part of the Dekton Natural Collection, it is ideal for a broad range of surface applications including facades, kitchen and vanity benchtops, flooring and wall cladding.